Can you Believe it...Another giveaway!!! 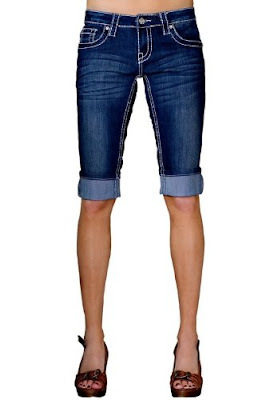 Designer Capris or Bermuda Shorts!?! These are PERFECT for this up coming Season! And might I add STINKIN'CUTE! If you feel a NEED to buy these ASAP...I would hurry because they are having a SPECIAL on them this week only! $39.99 for either pair, Plus FREE SHIPPING BOTH WAYS. WOW!! OK...Here is how you play the game! You have FOUR chances to win. So, be sure and leave FOUR separate comments on this blog! #1 FOLLOW Home by Heidi and also become a FAN on Facebook...If you are ALREADY a follower then share this blog with a friend and be sure they become a follower too. Leave a comment and let me know what you did! #2 Post my link www.homebyheidi.blogspot.com on your Facebook wall or post a link on your own personal blog...Leave a comment and let me know what you did! #4 Become a Facebook Fan on www.facebook.com/myrecessionistaparty...Come back and leave a comment . GOOD LUCK...this giveaway ends on March 20th @ midnight! I follow your blog and follow you on FB. I posted about your blog on my FB! CUTENESS!!! I am a follower of your sweet blog. 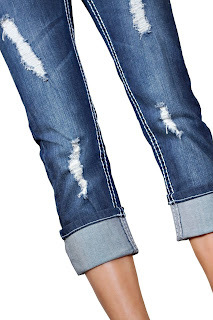 Just posted a link on my personal blog---really want those capris! I "like" Recessionista on facebook. Am a follower of Recessionista Party blog. How did I not know about this before? New favorite webiste!! Oh my Heidi, I need those capris, holy cuteness!!! I posted your link on my facebook page. I have been a follower of Recessionista for a bit now. Super cute stuff and fabulous prices. Totally a friend and follower of Recessionista Party on facebook. I liked Recessionista on FB too! I also posted a link on the sidebar of my blog linked to you! LOVING your cuteness!!! First off I am a fan of you on facebook and follow you on your blog. Lastly, I liked them on facebook. P.S. thanks for sharing this awesome group of clothes. Love love love them! I am a follower of your blog, and I suggested you to friends! 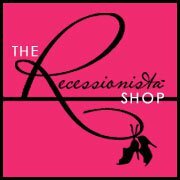 I liked recessionista on facebook! I posted a link to your blog on my facebook! I am your newest FB liker! I am liking Recessionista on FB now! I share your link on FB! Hi Heidi! Fellow Mrs. America 2011 Classmate. I just became a follower of your blog! Love it. In fact, I was admiring your green kids room you had posted in Favorite Paint Colors and had no idea that was you! Love your blog. I just started one myself. Would love any tips. I became a fan of the Recessionista on FB. I liked your Homes by Heidi facebook page...can't wait to spend some time there. I just shared your link on FB. i became a follower and a fan to your blog!!! So cute!! Can't wait to see whats next!!! Became a follower and a fan on facebook. Thanks for sharing your talent! Posted a link on facebook and my blog. Became a recissionista fan on FB. I subscribe to your blog! Love it! I follow you on facebook and I just posted a link to your blog! I now subscribe to recessionista - what a great site! Thanks for making me aware! I follow Recessionista on facebook! I follow Recessionista on FB.